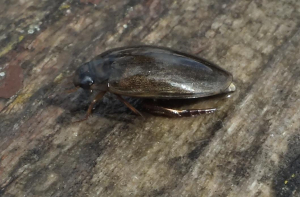 Observation - Unknown water beetle - UK and Ireland. Description: Size about 1.5cm long. Pond is still water, well isolated from other ponds and has no inflow only rain. Pond is still water, well isolated from other ponds and has no inflow only rain.